Many bands reach the point of having a distinguishable brand and stop evolving. From AC/DC to Reckless Kelly and the Rolling Stones to George Strait, once an artist lands on what makes them tick and sells albums/tickets, they normally don’t fool with the formula. The Beatles were the first band to toy with that notion and have been followed by the likes of everyone from Robert Earl Keen to Ryan Adams and Taylor Swift. Pushing the envelope is what artists do in the first place, when they meet that fork in the road they have two paths to choose from. Either are acceptable, but only one is easy. Josh Abbott Band started as a Texas Country collective from Lubbock that specialized in party songs, songs that pandered to female college students and songs with unclever sexual inneundo. It proved to be a winning strategy, as within relatively short order, JAB rocketed from Lubbock to one of the top three live draws in the region and a major label record deal. Along that journey, their playing got super tight, their production went next level and the songs began to grab hold of some depth. Whether conscious or not, band leader and principal songwriter Abbott began to push himself to be a more layered songwriter. This push was joined by the public deterioration of his marriage and the loss of that record deal. Whereas other bands may have quietly gone back to Texas and kept playing the hits, JAB doubled down on their artistic journey and delivered their best album to date, Front Row Seat. FRS was a personal exploration of love, pain, betrayal, faith, redemption and closure as viewed through the protagonists’ own relationship. The fact that fans could hold the songs up to the prism of Abbott’s very own failed marriage made it that much greater of a record. Abbott’s willingness and openness to put himself out on front street like that was commendable. He could have easily tucked his tail, written another “She’s Like Texas” and counted the money. The fact that he didn’t is a testament to the artist he feels he can be. The fact that his fans followed him gives hope to all bands in this scene. All that background brings us to JAB’s latest release, Until My Voice Goes Out. A record that finds JAB still mining similar lyrical themes, albeit with new perspectives. Upon first listen, what you will immediately notice is the expansion of the JAB sonic palette. Strings and horns are way up in the mix in a constructive, supportive spot similar to the way those instruments are featured on Sturgill Simpson’s Sailor’s Guide To Earth. There is pronounced banjo on nearly each track and at every turn just when you think this song sounds like vintage Josh Abbott Band, there’s a string or horn twist that makes it fresh. Longtime fans of this band will find plenty to love (“The Night Is Ours”), more recent converts will find a continuation of what they dug (“I’m Your Only Flaw”) and haters will have plenty of ammo with song titles like “Texas Women, Tennessee Whiskey” and “Girl Down in Texas”. The rub is the two former groups greatly outnumber the latter and this album will be a massive success on Texas radio and all across this market. “Ain’t My Daddy’s Town” is the strongest track on the record and it evokes the same emotions as John Baumann’s “Old Stone Church”. The song is as gut-wrenchingly real as it gets, with the knowledge that Abbott’s own father passed away unexpectedly during the recording of this album. 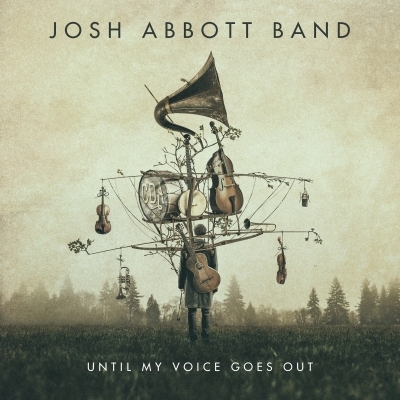 UMVGO finds the Josh Abbott Band merging the two characteristics which made them successful and refining them into a hybrid of less ham-handed songwriting, more progressive musical arrangements and an evolution of the JAB brand into something fresh. Hallmarks of what made them, flashes of what changed them and promises of what can be. Abbott is still far from winning any awards for songwriting, but he knows what he does best and he’s damn good at it. He’s found his lane, refined it, sharpened it and gotten better at it. These are songs that are easy on the ears and not too hard on the heart. There’s a reason the Josh Abbott Band is as big as they are and this record encapsulates why. Hello.This article was really fascinating, especially because I was browsing for thoughts on this subject last Thursday. Hi! I know this is kinda off topic however , I’d figured I’d ask. Would you be interested in trading links or maybe guest authoring a blog post or vice-versa? My site covers a lot of the same subjects as yours and I think we could greatly benefit from each other. If you happen to be interested feel free to send me an email. I look forward to hearing from you! Fantastic blog by the way! Very good information. Lucky me I recently found your website by accident (stumbleupon). I ave bookmarked it for later! This is one awesome blog article.Much thanks again. Keep writing. Does your blog have a contact page? I’m having a tough time locating it but, I’d like to send you an email. I’ve got some suggestions for your blog you might be interested in hearing. Either way, great blog and I look forward to seeing it improve over time.